I was elated to receive this backpack stuffed with Pentel products for another back to school giveaway from Penny Wise. 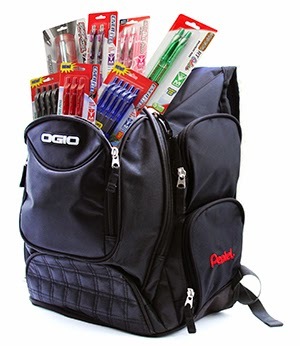 This Ogio Metro backpack was stuffed full of pens, mechanical penciils, lead, erasers, executive pen and pencil set colored pencils, and many other items, all from Pentel. I know how expensive school supplies can be so I am happy that one lucky fan will win this backpack STUFFED with Pentel products. 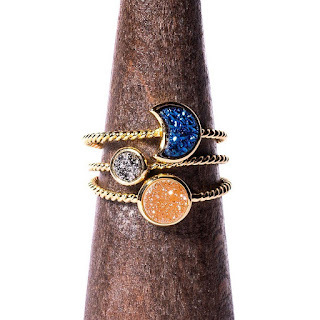 Enter the Rafflecopter below for your chance to win. Don't forget to come back for the daily entries! Reviewz & Newz is not responsible for shipment of prize. I've never actually tried Pentel products! Thanks for sharing! I love all their pens, they write so smoothly! I don't think I have tried them. I have heard that they have great pens! I love the Pentel Pens! Their mechanical pencils are a favorite at my house. I like the EnerGel Alloy RT Gel Pen with Pink Ribbon. i havent used any of the products yet so hoping i get the chance now. I love the EnerGel Pearl Deluxe Gel Pen. It makes journal writing so much nicer and easier. Ink joy Pentel pens, so awesome. Scored some at dollar store. The gel pens are my fave! EnerGel pens are the best because they write smoothly and have fast drying ink. I have been a big fan of the Rolling Writer for many years.